Relocating can be stressful, especially when you are moving further afield and may have to say goodbye to friends, families, loved ones and other around you. Saying farewell to your old life or at least the one that you have became accustomed to is never easy but when you have your relocation issues at bay thanks to the fact that you hired a professional removals company for the job of relocating them, at least you can say that one of your potentially problematic issues is safely sorted and has been dealt with. Unfortunately, we cannot help you with the process of uprooting your life in London and getting used to your new life in Paris, just like we are unable to take care of the emotional goodbyes and farewells which come before you leave your current location. We can however, help you to have a quick, easy and reliable London to Paris move without you having to stress about the whereabouts of your belongings and without you needing to get overly involved yourself. Our professional team of international and overseas movers is sufficiently capable of moving any amount of belongings to your new destination in Paris from London through the help of our range of useful removal vehicles and along with our team of professional staff. If moving is still not something that you have perhaps thought about then do not panic because Moving Service can help you out even of your move has came around as a bit of a last minute decision. Should you be interested in learning more about our services at any time all you need to do is give us a call on 020 8746 4402 and we will be happy to get back to you and help you in every and any way that we can. 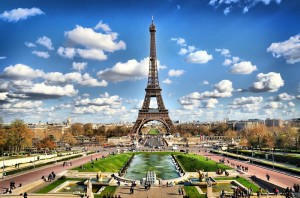 Paris is a well known European city which is also the capital city of France, which is the country it is situated in. As well as being known for its famous French fashion houses and excellent stores, France is also home to the world famous Eiffel Towers and many more interesting exhibits and landmarks which serve as great places to visit. Each year, many people choose to travel to Paris to taste a piece of the French culture. 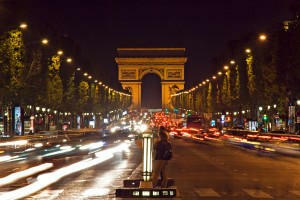 Paris is a very modern and developed city which offers great employment opportunities for all. It is the most populated city in the whole of France and is set upon the River Seine, which runs through it. This capital city is situated in the north of France, has a population of over 2, 230, 000 people however, its metropolitan area is one of the most highly populated cities in the whole of Europe as it accommodates approximately twelve million people. Today, Paris is of the world’s leading business and commercial centres which is where many of the local French people flock to from more rural areas within the country. Moving Service is able to move you from your London location to your new destination in Paris without any bumps and issues that can sometimes arise during the removals process. Our rates for moving you from London to Paris are reasonable and realistic so there is no need to worry about breaking the removals budget that you have set yourself for the move. Call us today on 020 8746 4402 for a free quote on you relocation.